Please have a happy and safe holiday season, and we look forward to seeing you in January! 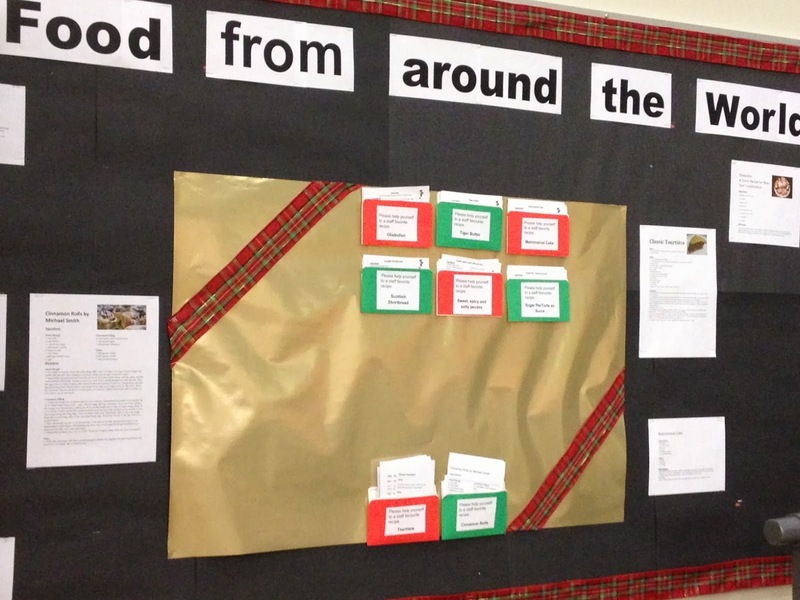 As UFV Library staff brainstormed about a display for the holiday season, one topic jumped to the front: food. Most of the staff are self described "foodies" and have shared artifacts and recipes for this display. 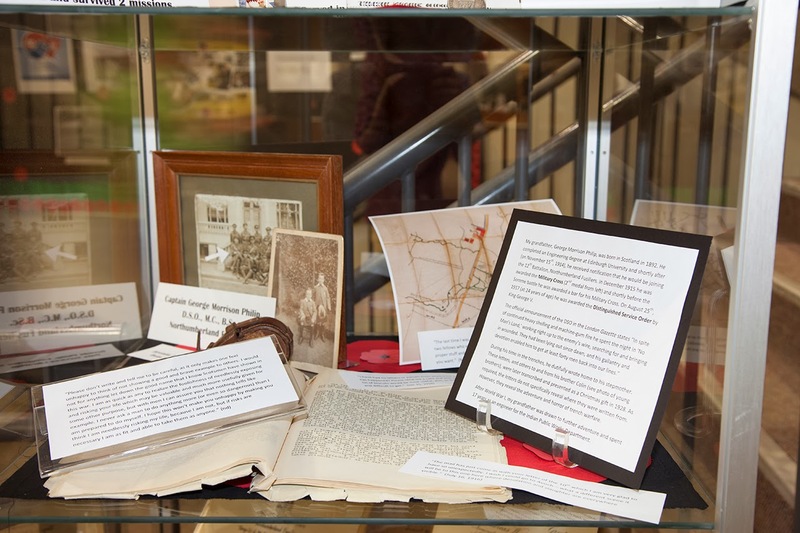 Come in and browse the library books and media on display as well as explore some of the unique, local history titles from our Heritage Collection. 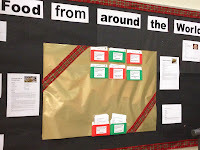 As a gift to our community, the staff have created a recipe gift wall. Take a recipe or two and get creative over the holiday break. 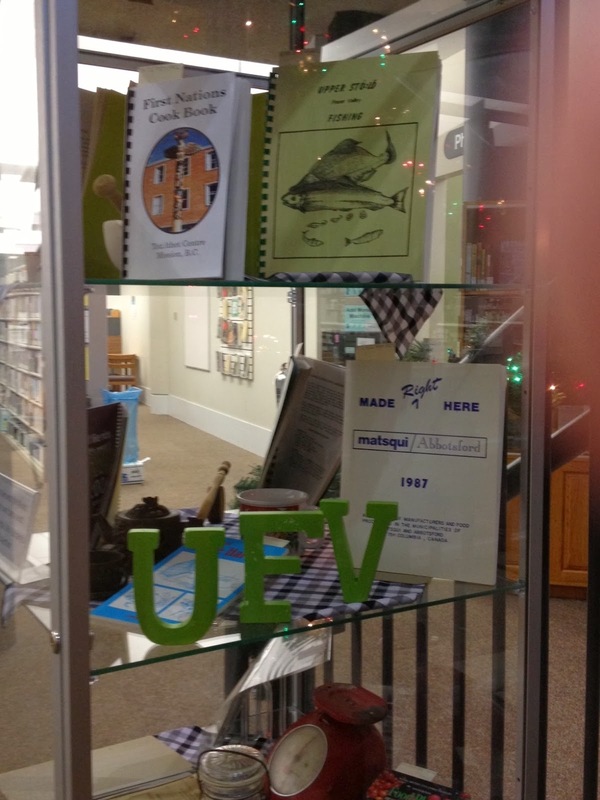 Best wishes for the holiday season from the UFV Library. You donate the food - we'll pay your fines! The UFV Library collects food items for donation to local food banks, which provide food and assistance to people in need in our communities. As a thank you, we forgive a portion of your library fines. 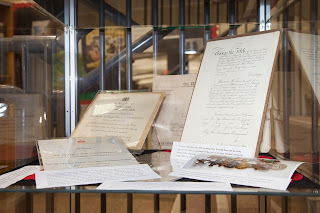 This year, library donations will be going to the recently established Student Union Society Food Bank. Any UFV library patron (student, staff, faculty, alumni, community borrower) can “pay” library fines by bringing in donations for the Food Bank. Bring non-perishable food items into the Abbotsford or Chilliwack libraries. Please, no non-food items (such as candy) and no expired food items. Each donated food item is the equivalent of $2.00 toward your overdue fines, to a maximum of $20.00 per person. P.S. All donations are welcome, even if you don’t have a fine. 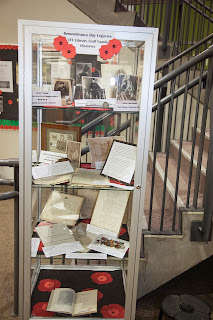 Remembrance Day Legacies: UFV Library Staff Family Histories. a map of a World War I trench belonging to Philip's grandfather. 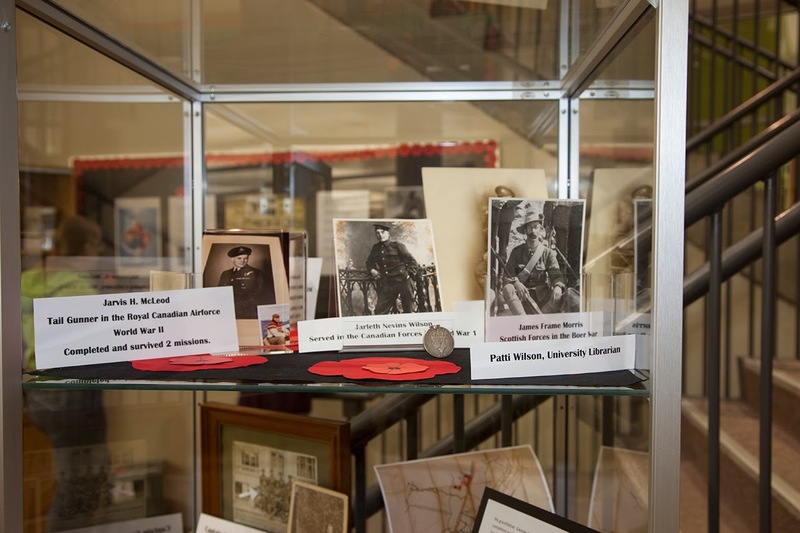 When the library staff were brainstorming about display ideas for Remembrance Day, Heather LeGood suggested staff bring in photos of family members who served in the various wars. “It makes it personal, so that people can see that those who served their countries meant a great deal to those left behind." UFV library staff have contributed photographs, documents, medals and other family memorabilia for the display. 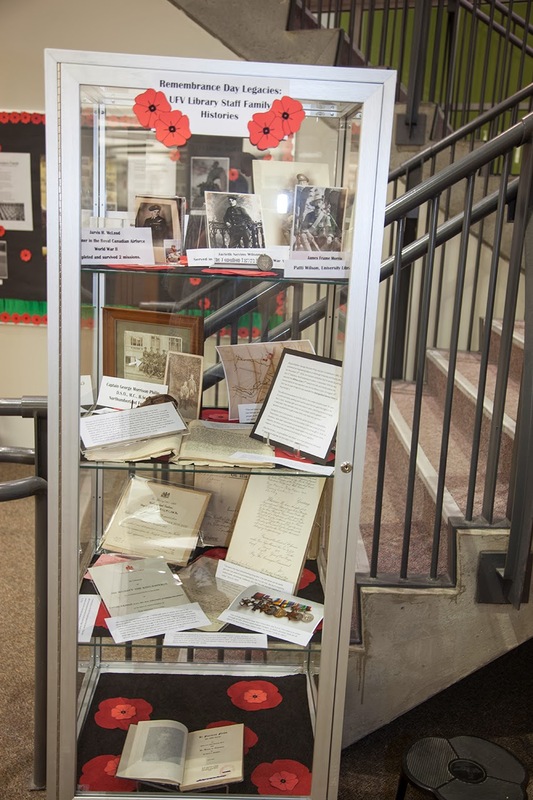 As well, library books about the various wars including World War I, World War II, the Korean War, Vietnam War, and other Canadian peacekeeping missions are on display. University Librarian, Patti Wilson, brought in photos of three family members. Two photos show relatives who served in World War I, in the naval and land forces respectively, and one dashing photo shows James Frame Morris who fought in the Boer War. Heather LeGood, UFV’s media technician, brought in two photos of relatives that served in World War I and II. 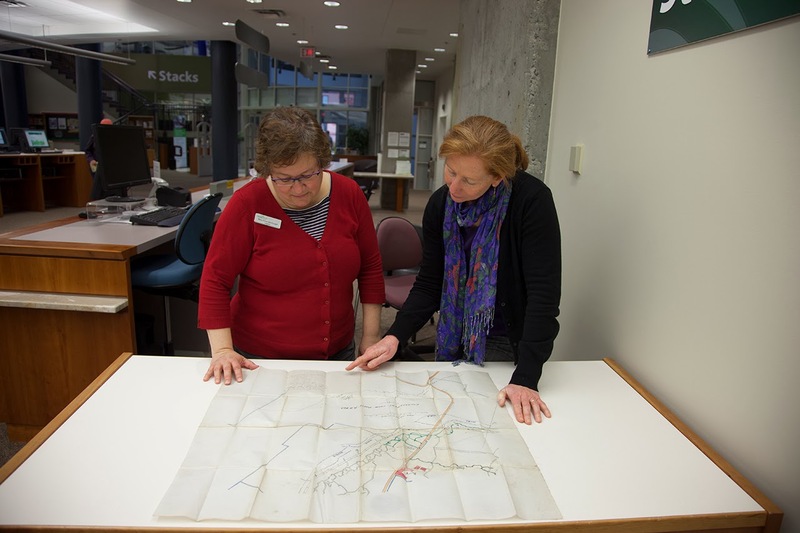 Alexander K. McLeod, LeGood’s great uncle, went missing in action near Arras, France during World War I.
Brenda Philip, UFV’s Circulation and Data Services Librarian, couldn’t imagine the treasure trove of information she would find when going through a family trunk looking for something to contribute to the display. 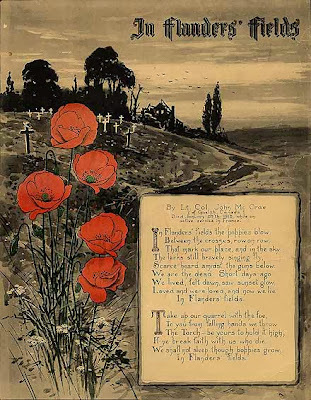 She found her grandfather Captain George Morrison Philip’s military archive including photographs, transcribed letters written by her grandfather in the trenches of World War I, and other correspondence relating to his military decorations. Captain George Morrison Philip was awarded both the Military Cross, with a bar, and the Distinguished Service Order in 1916. Upon closer examination of the supporting documentation of the DSO, library staff were delighted to see signatures from both King George V and Winston Spencer Churchill, the then Minister for War. This installation will be on display until the end of November.